The PLASCON® system for the destruction of waste is a plasma based technology that destroys the molecular structure of the waste it processes. Plasma is an ionised gas consisting of atoms, ions and electrons. It differs from the normal gaseous state because it is electrically conducting. It is often referred to as the fourth state of matter, since material passes from solid, to liquid, to gas and finally becomes plasma with increasing temperature. In the case of PLASCON®, plasma is created by passing an electric current through the plasma gas. This is known as electric arc plasma. Electric arc plasma has been used in materials processing applications for many years, however it is only in recent years that its use in waste destruction has accelerated, primarily due to public concerns regarding incineration. In the PLASCON® process the waste is injected directly into the plasma. This “in-flight” technique has several advantages over the majority of commercially available systems that use plasma as the energy source in a configuration that is otherwise very similar to traditional incinerators. The heart of the PLASCON® process is a high-energy DC plasma torch. The core of the plasma can reach temperatures well in excess of 10000oC. At these extreme temperatures the molecules injected into the waste break down into their atomic constituents. 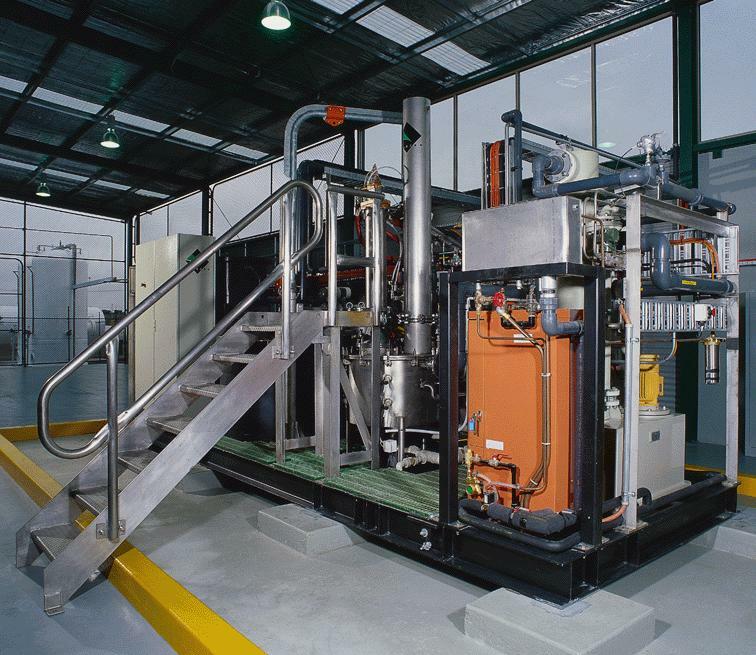 This process is known as pyrolysis. 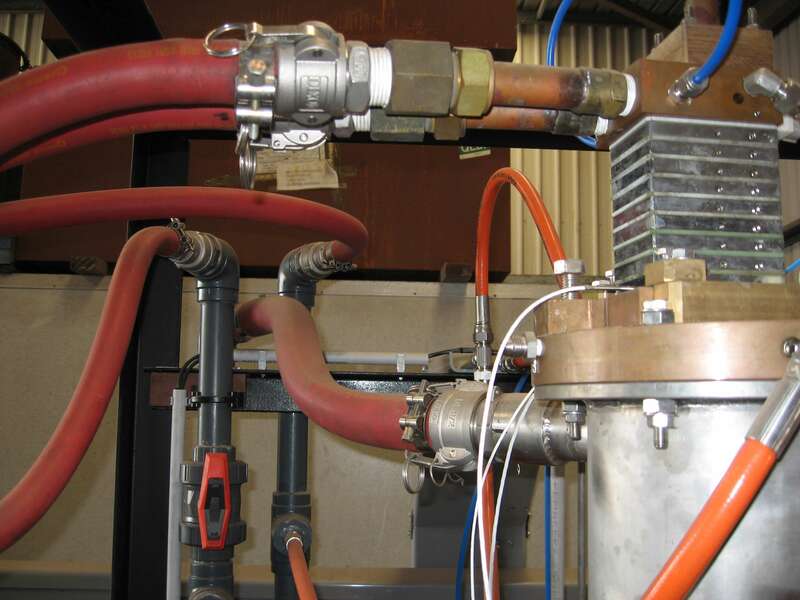 The hot plasma gas then cools to approximately 1200oC in a reaction chamber prior to rapid quenching to 50oC, using a direct caustic quench. This rapid quenching prevents the formation of any undesired organic molecules such as dioxins or furans. Less than 0.5 gram of material is retained “in-process” at any instant. The plant can therefore be rapidly shut down in an emergency with no risk of environmental release. The PLASCON® process is controlled by a programmable logic controller (PLC) with a user-friendly computer interface. This control system is simple to operate service and provides high reliability. Over 100 control parameters are monitored to ensure that the process can be safely operated both remotely and unmanned. When a monitored control parameter breaches the specified set points the control system will initiate one of three automatic shutdown sequences. Data is logged and stored for analysis, fault finding and to meet any regulatory requirements. Few special skills are required to operate the PLASCON® process.